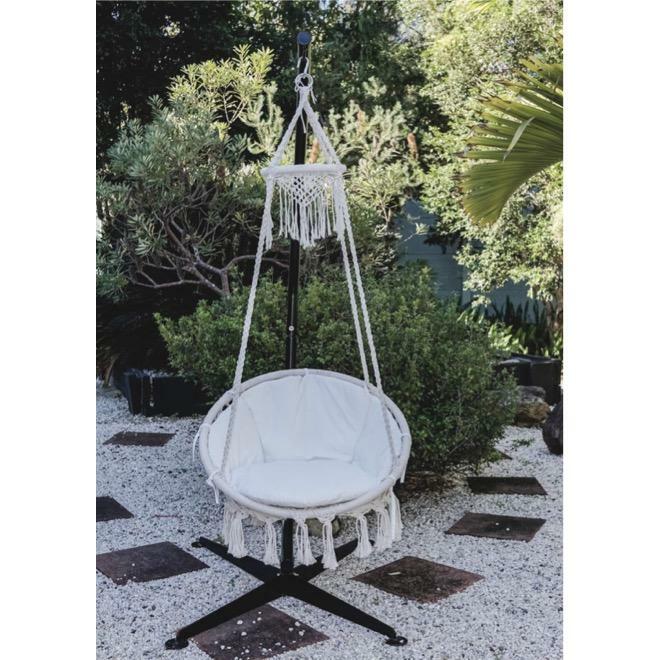 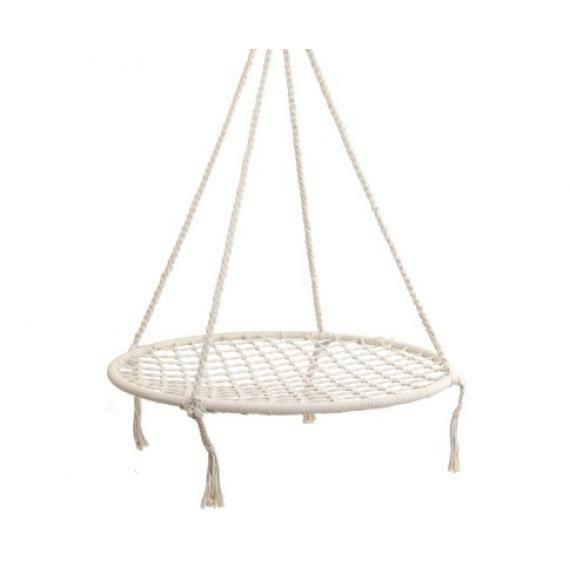 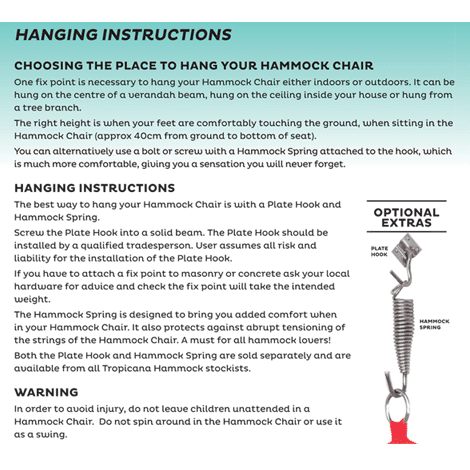 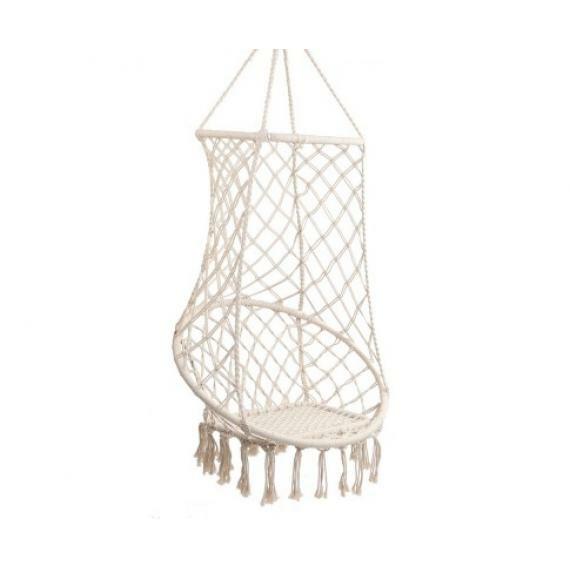 The Deluxe Macrame Hanging Chair is a handmade hammock swing chair that brings an elegant touch to any home. 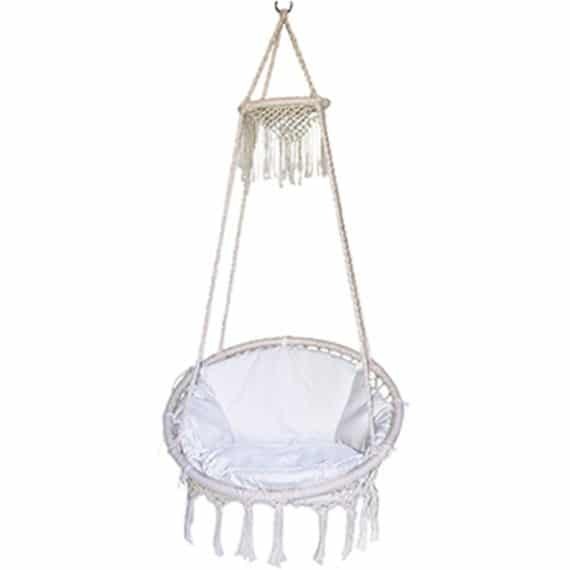 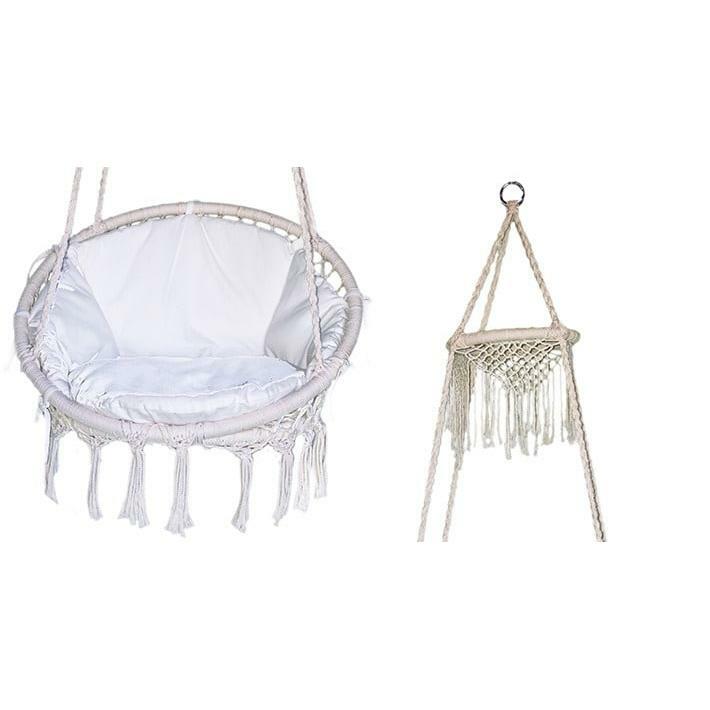 The rope and swing design features macramé net chair pattern with extra fringe tassels. 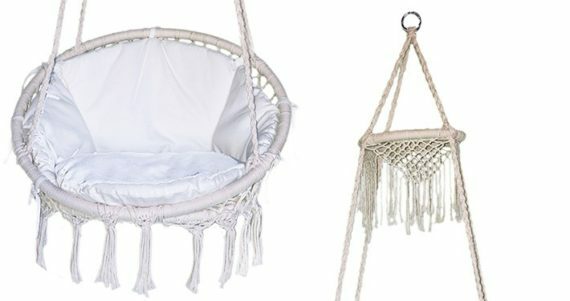 Made of 100% raw cotton.